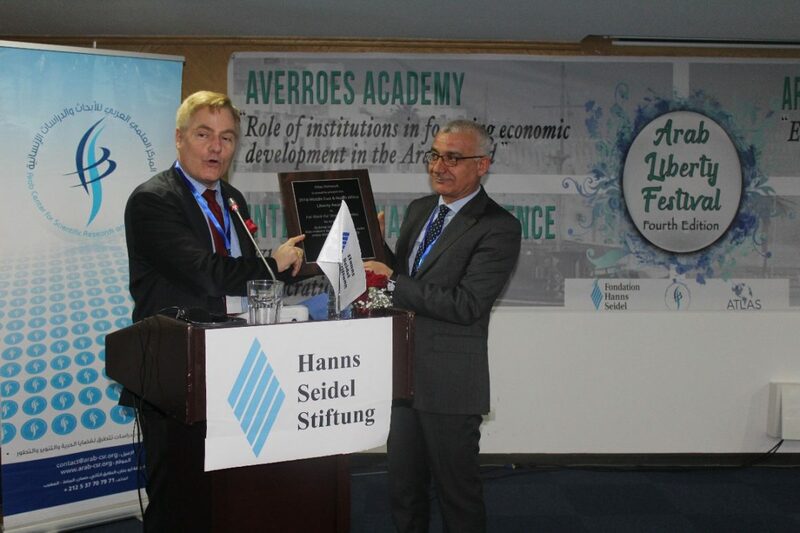 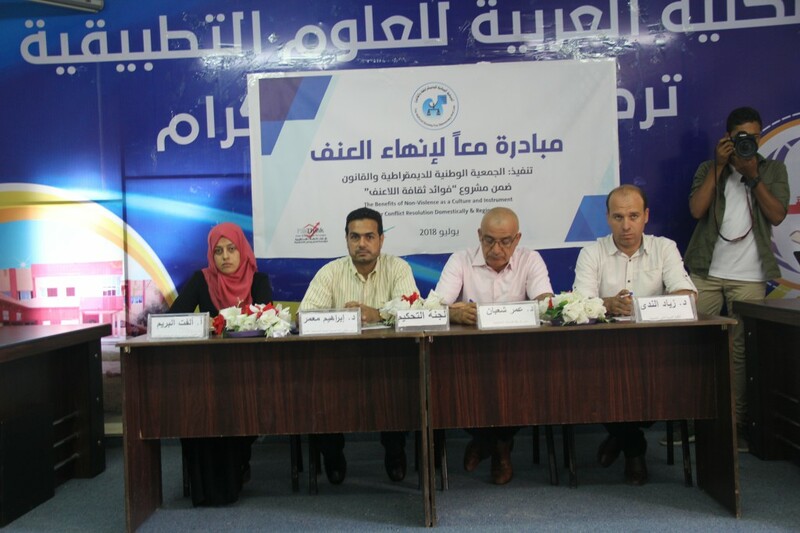 The National Society for Democracy and Law concluded “Together to End Violence” initiative, in cooperation with Pal-Think for Strategic. 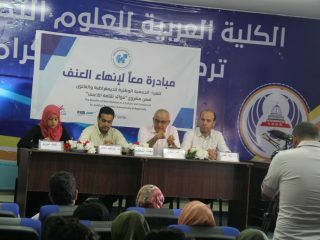 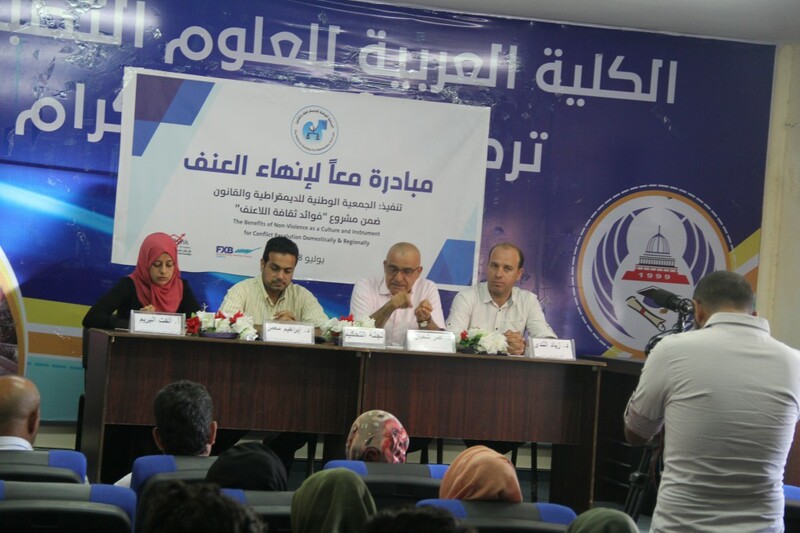 A number of social, legal and media personalities participate in the initiative as well as the director of Pal-Think for Strategic Studies, Omar Shaaban, Chairman of the National Society for Democracy and Law, Ibrahim Muammar, Head of Projects Department of the Arab College of Applied Science Ziad El Nada, and a number of students of the College. 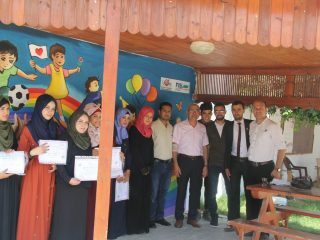 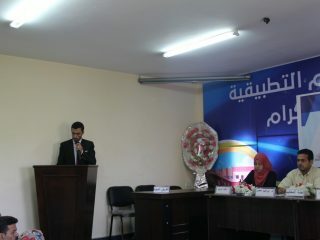 The coordinator of the initiative, Bilal Al-Najjar, welcomed the audience, opened the event and stressed the importance of implementing such initiatives, which aims at developing the skills and abilities of young people in ending violence, spreading the values of democracy and human rights and promoting tolerance. 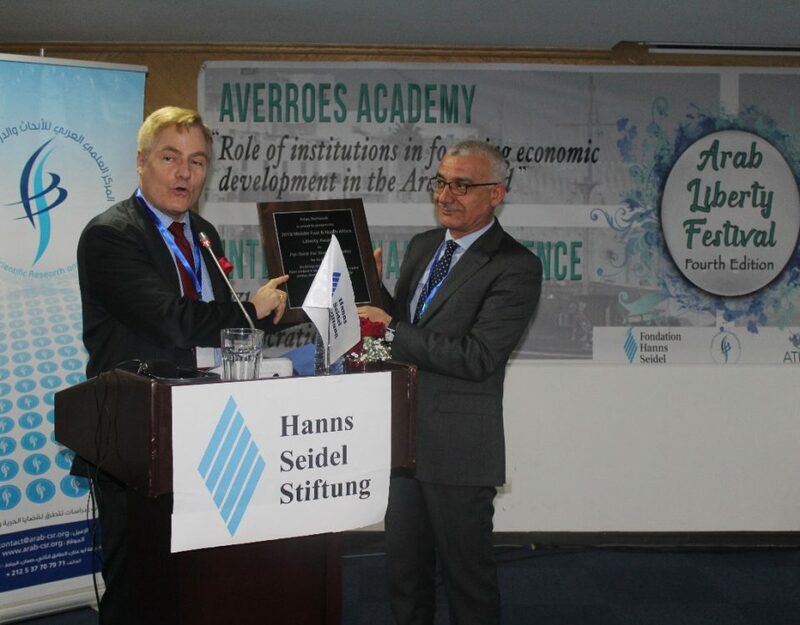 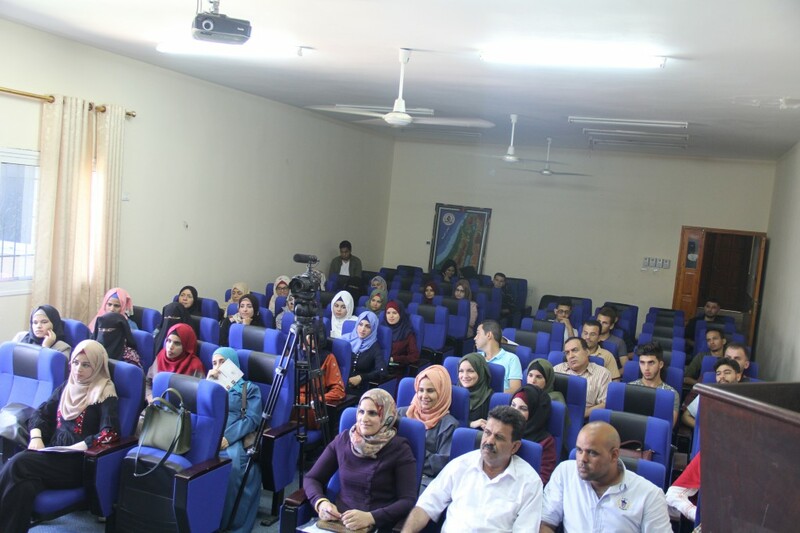 Mr.Ziad Al-Nada stressed the importance of the College’s cooperation with civil society institutions, which enhances the abilities of youth and contributes to their integration into civil society institutions. 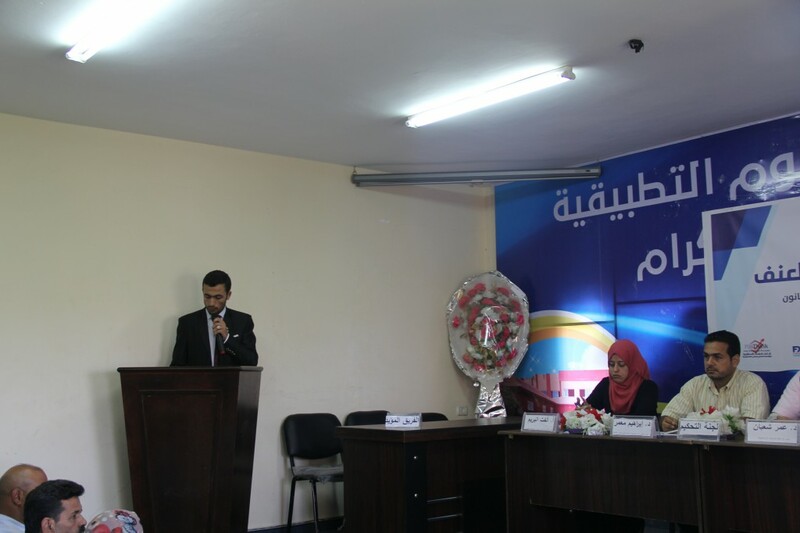 Director of Pal-Think, explained the project that aims to implement these initiatives within the project “The Benefits of Non-Violence as a Culture and Instrument for Conflict Resolution Domestically & Regionally” and he speoke about the achievements of this project and the activities that were implemented during the project, emphasizing on the importance of the implementation of such activities in the governorate of Rafah due to the specificity of the province with a focus on the youth. 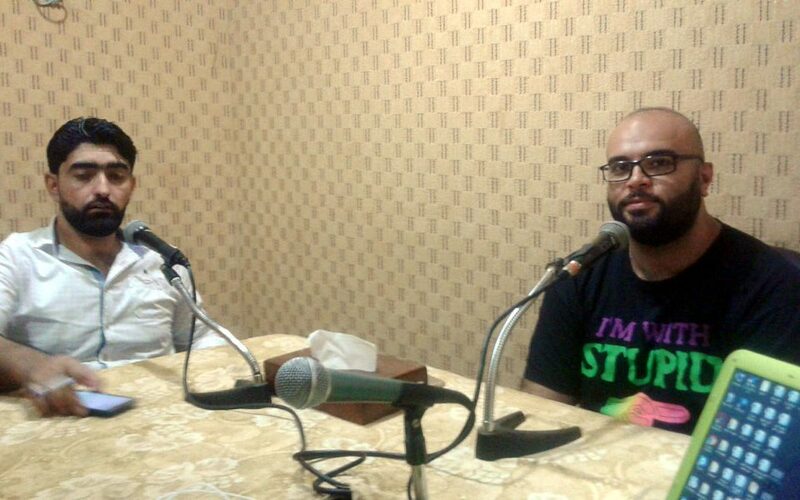 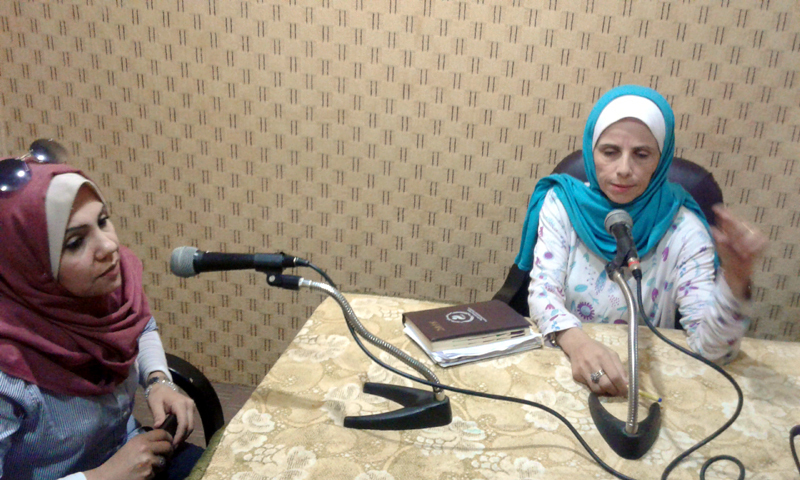 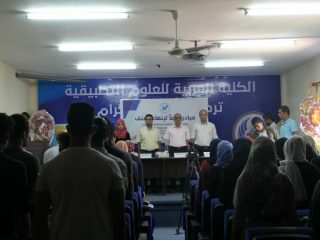 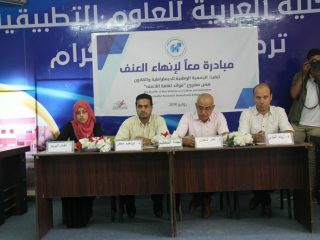 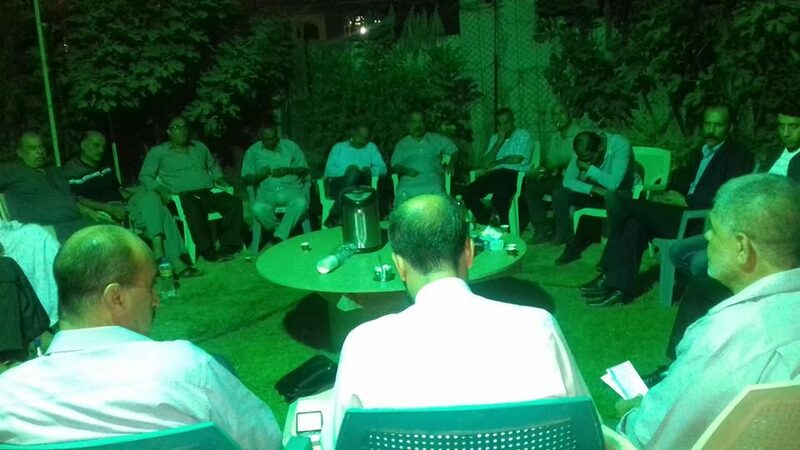 The Executive Director of the National Society for Democracy and Law, Olfat Al-Bareem, talked abot the initiative and the activities carried out during this debate, such as: training, printing of posters, wall paintings and presentation of the debate in order to promote the culture of non-violence in the governorate of Rafah, and stressed that the focus on the youth group is among the general strategy of the association as the young people are the most able to influence and change in society. 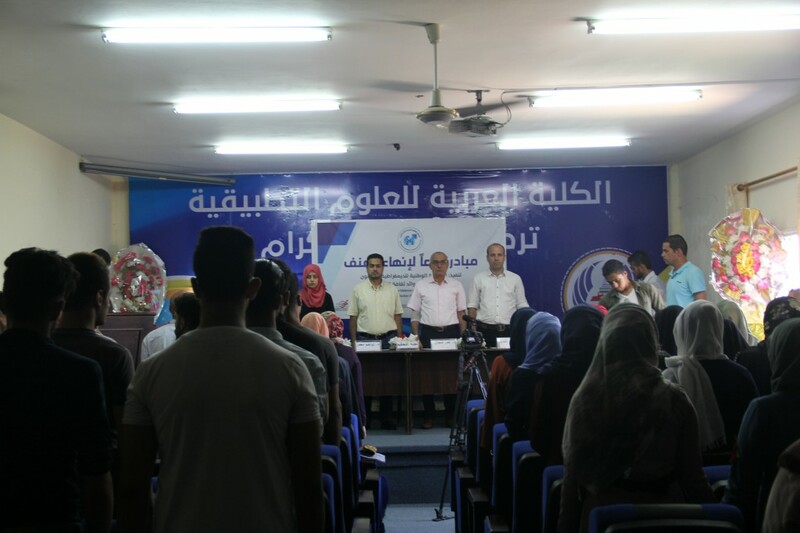 The debate was presented to reflect the reality of community violence. 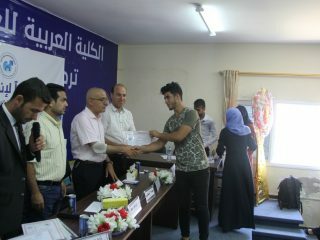 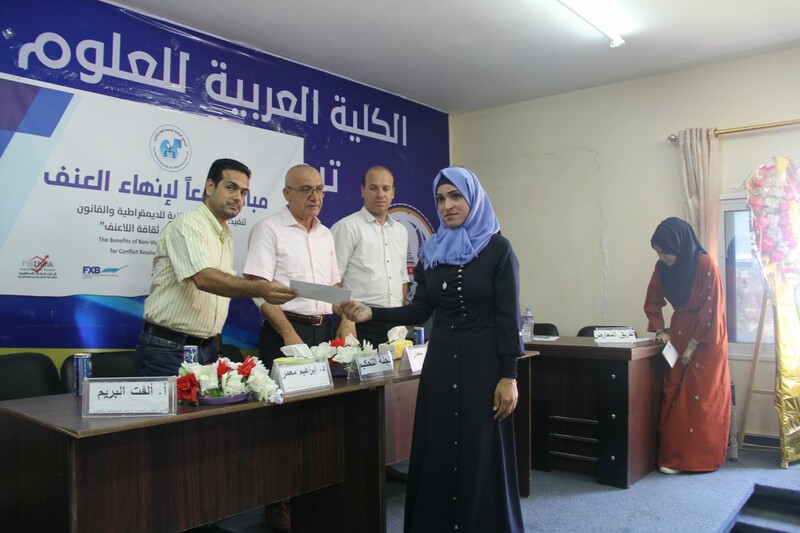 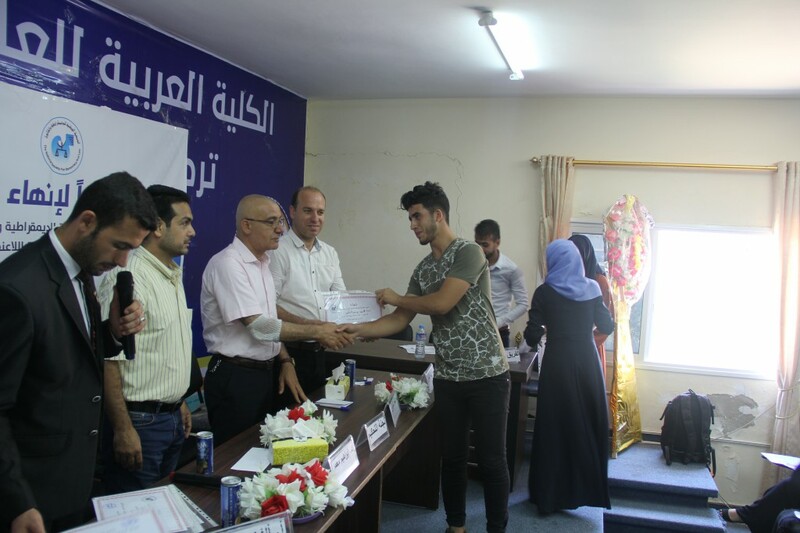 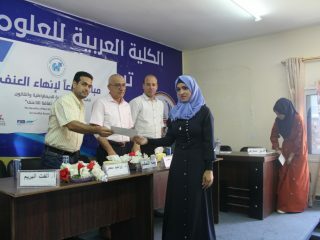 It began with the argument topic: “The Council believes that the reason for the high rates of community violence in the Gaza Strip is due to the difficult economic situation.” After the discussion, certificates were distributed to trainees who had been trained on mechanisms to reduce community violence. 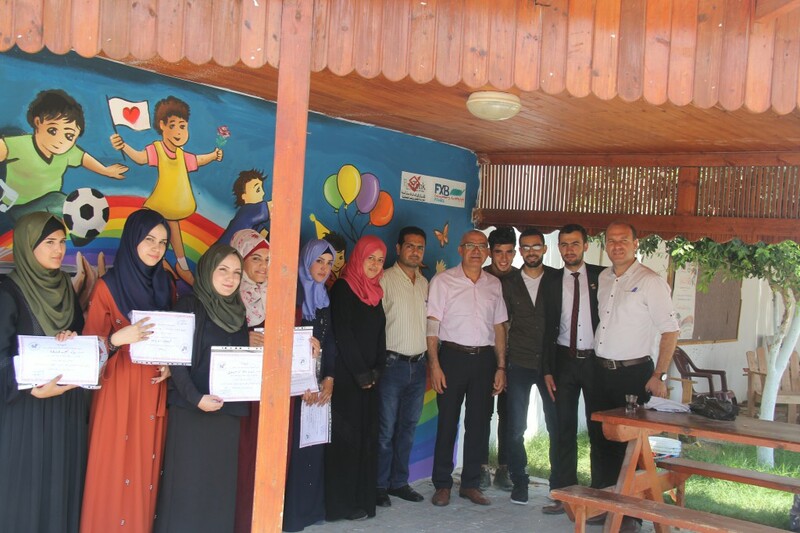 At the end of the activities, the mural was drawn up, the mural reflects a society of love and free from all forms of violence. 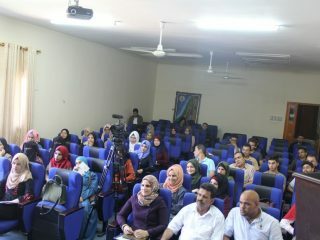 The audience also expressed their interest with such initiatives and activities, which contribute mainly to spreading the culture of democracy and human rights and reduce the phenomenon of violence within the Palestinian society in Rafah, calling for more activities and events that contribute to the promotion and development of youth capacities to confront and combat all forms of violence within the Palestinian society, to reach a secure society of love and tolerance and activating the role of Youth in rejecting violence.